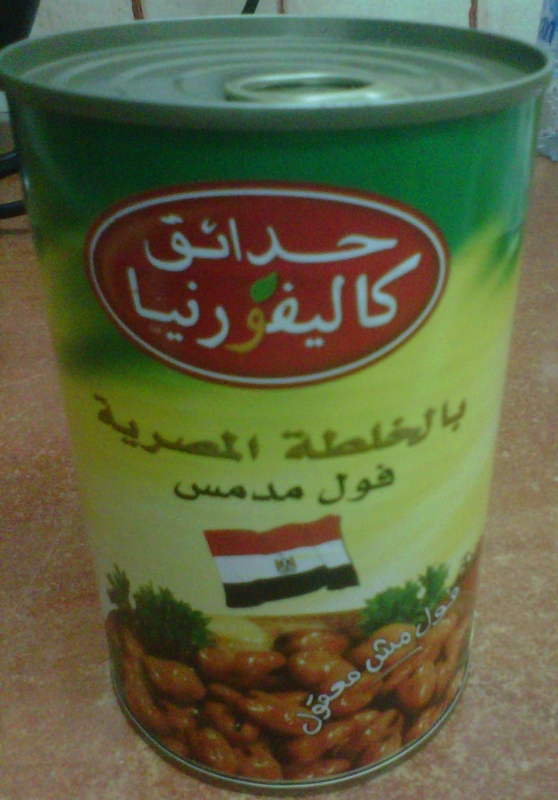 So if you aren’t in Egypt where you can get the freshest of the fresh fava beans at 5 in the morning, this amazing canned product from California Fields is really the next best thing! We’ve lived off this in San Francisco and when I found it for the first time in Carrefour, I did a little happy dance in the aisle. 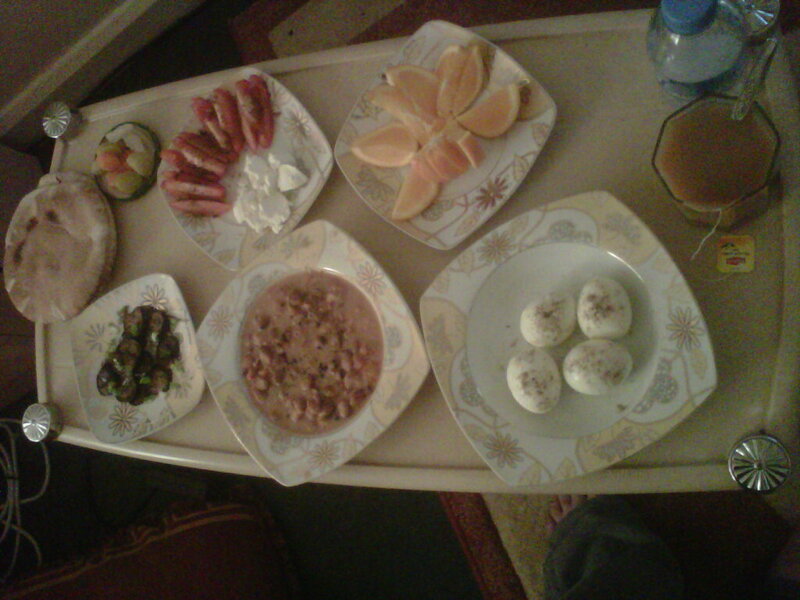 You can also find this at Al Merra for the same sweet price! There are several ways to make fava beans with various ingredients, oils and butters. However, the one I made here with just three ingredients is my absolute favorite! 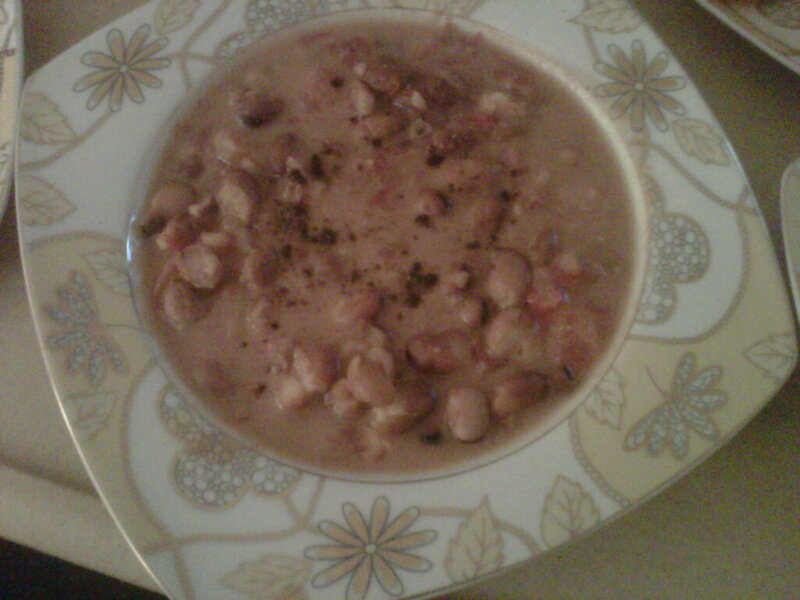 In a sauce pan, cooked one can of fava beans on medium heat (using a gas stove, high heat for electric). As the beans started to bubble around the edges, I added a sliver of butter (about a quarter teaspoon at the most). I ran my cooking utensil through the beans to soften them a bit. I wasn’t trying to puree it, just want a nice and chunky texture. Diced a tomato and added the pretty red squares to the fava beans letting it cook for about two to three more minutes. This let’s the tomatoes cook enough while still holding itself. Then season to taste with salt and pepper… DONE! For my dieting readers, fava beans are high in protein and very filling without the bloating… score! I think my Arab brothers and sisters can relate to this dish because you seriously can’t go wrong with tomatoes and feta cheese seasoned and drizzled with extra virgin olive oil! 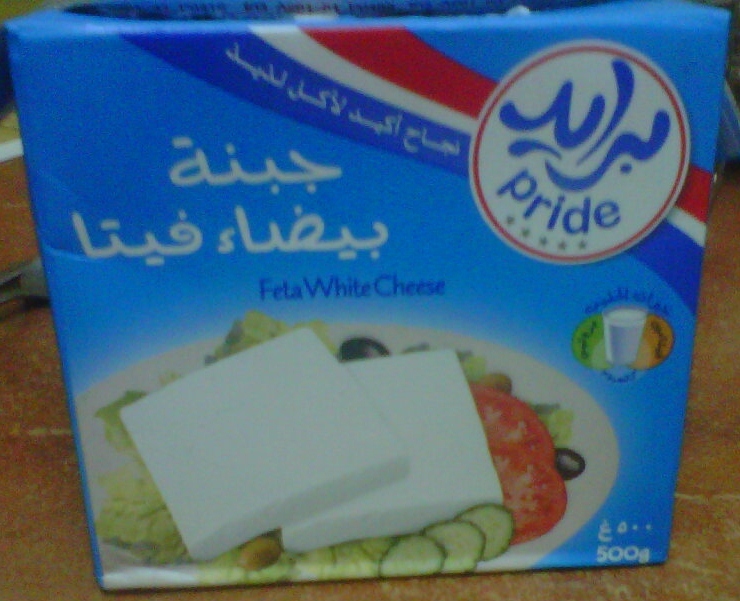 For feta cheese, I’ve so far enjoyed Pride’s feta cheese from Al Meera as it’s similar to the one I used to get in San Francisco. This one is a nice solid with so many ways to serving it. Here, I sliced a nice firm roman tomato and plated it. Than seasoned it with salt, pepper and lots of cumin. I scooped out a good tablespoonful of feta cheese, crumbling it in big pieces onto the plate. 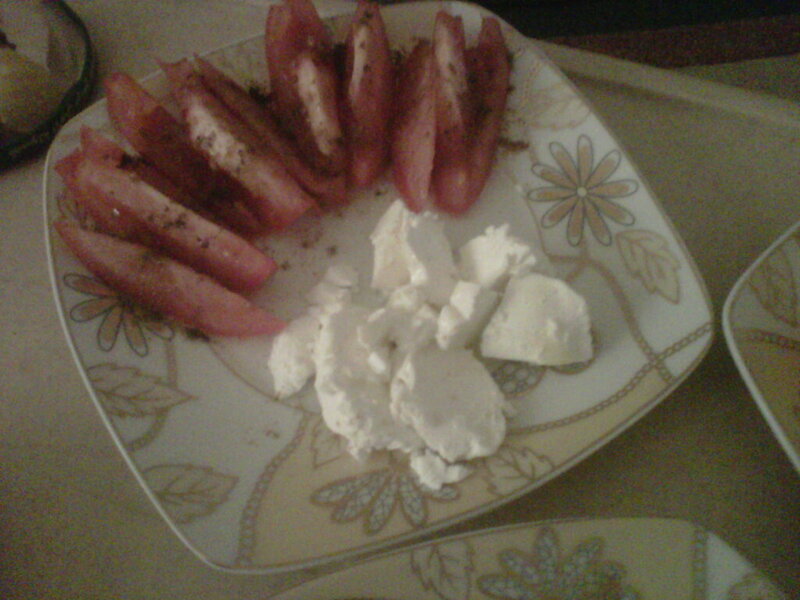 Then I drizzled about a teaspoon of extra virgin olive oil onto the entire plate. This, some toasted pita bread and mixed pickles… OH SO GOOD! For those needing that extra calcium boost, this is the perfect dish! If some of my readers haven’t noticed by now, I LOVE eggplants just as much as I love tomatoes and potatoes! This dish is one of my favorite eggplant dishes and there’s so many simple ways to make it your own with all kinds of eggplants. 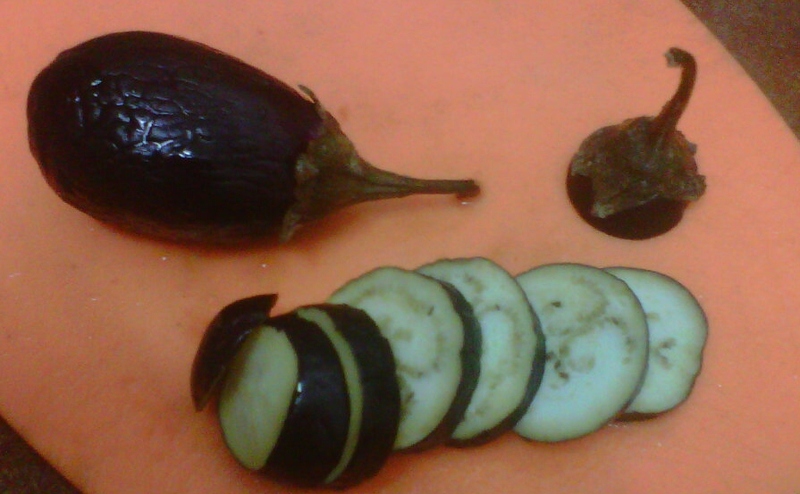 A few days ago, I found these nice mini eggplants at Al Meera that I figured would be perfect for this dish. Sliced two mini eggplants into about quarter inch (half a centimeter) disks and in small sauce pan on medium to high heat, sauteed them until they browned on both sides with a bit of extra virgin olive oil. Take the sauce pan off the stove and while the pan is still hot, added about half a teaspoon of balsamic vinegar for flavor (being very careful as the vinegar does react to the heat). 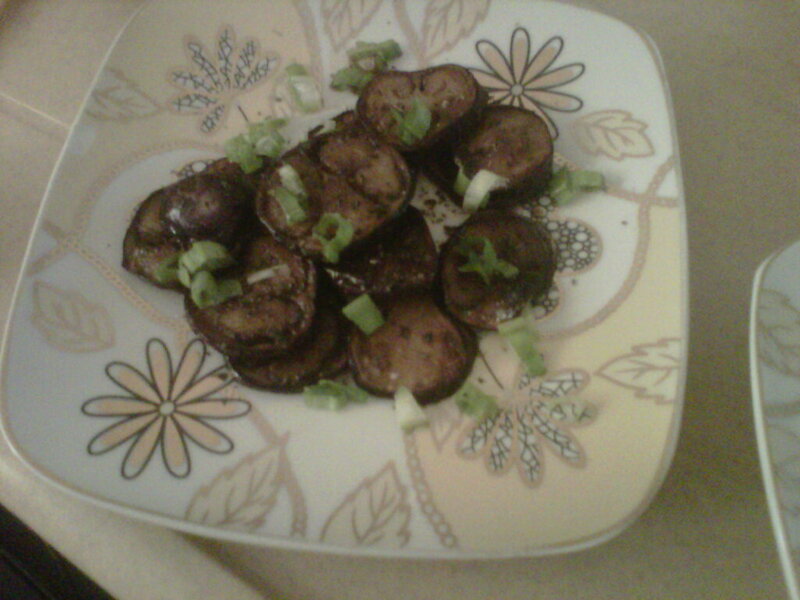 After the eggplants rested and took in the oil and vinegar for about 5 minutes, I start plating. Topped them off with sliced green onions (or chives), salt, pepper and drizzled the plate with a bit more of balsamic vinegar for taste… DELICIOUS! Us expats here really do have an amazing variety of main staples such as oils and vinegar to be tried and tested! For extra virgin olive oil, I’ve so far liked the flavor of Serjella. It just cooks well unlike a few others I’ve tried including the “Spanish Oil” everyone’s raving about here. I’m still looking for a good regular olive oil to cook with more regularly so if you’ve tried a good one, pass it along. Now for my favorite vinegar, the versatile balsamic, was a bit tough because I’ve yet to find an aged one like the ones I’m used to from Trader Joe’s. However, I have to say I appreciate the one by Yamama. Even though it’s not aged, the flavor is very appealing and went very well with my lemon lime apple salad. I found both from Carrefour for less than 15 QR each. I took all the pictures in this rant with my BlackBerry Curve 3G before I realized I have a real camera! Still pretty good for a 2 year old phone, right?